Note: some of these events may be organised by third parties – please consult the organisers for details of any fees, membership requirements, etc. Views and Curlews: We will be heading up Laneside and having a look at the views from the top. We should see Skylarks, and possibly Curlews and Lapwings on the way. Bring a packed lunch and a drink, and wear sturdy shoes/boots and bring warm clothing. I can guarantee mud, water and stiles. There can be a cold wind at the top. We will drop down into Hayfield to take a break before walking back to New Mills along the Sett Valley Trail. Hayfield has a variety of pubs and teashops and public toilets. Do hope you can join us. Parish Boundary Walk: Details to follow. 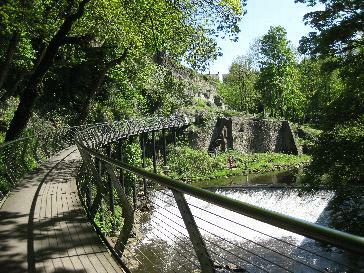 attract more people to visit New Mills to enjoy local walks. achieve economic benefit for local shops, B&Bs, hotels, pubs, cafés, restaurants, etc. through increased footfall. strengthen the town’s reputation as a walking destination when signed walks and walk guides are available. complement town’s economic generation/tourism plans and strategies. 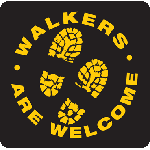 demonstrate that walkers will be given a warm welcome by the local community. ensure that public footpaths remain open and maintained for the benefit of local people and visitors. promote effective liaison arrangements with local councils and agencies responsible for footpaths. Members provide a focus for cooperation. help to create new footpaths and walking groups. encourage preparation of local walking guides and signage. promote the health benefits of walking and being in the countryside. give local people and visitors the opportunity to learn about the culture, history and biodiversity of New Mills and surrounding countryside. Thanks to White Van Man, New Mills Town Council, High Peak Borough Council, Visit New Mills and all supporting traders and residents for their help in making New Mills the first town in the High Peak to achieve Walkers are Welcome status.